Good afternoon, dear readers! I hope you enjoyed the weekend and have had a fabulous start to a new week! My weekend just seemed to fly by at record speed, and I'm not sure how it is Monday already. I did have a little bit of time to myself to work on my nails and do some simple nail art. 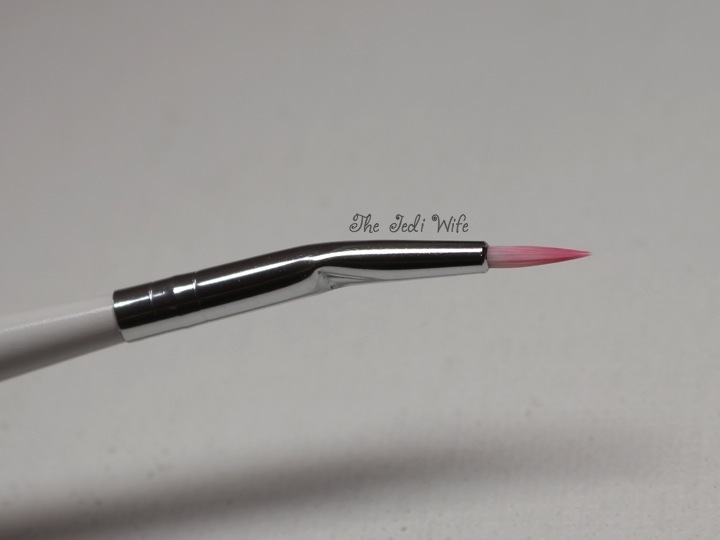 I wasn't really sure what I wanted to do, so I just played around a little bit with a set of nail brushes from Born Pretty Store; I must say, I am really loving how they turned out! Let me back up a little and show you the brush set first. 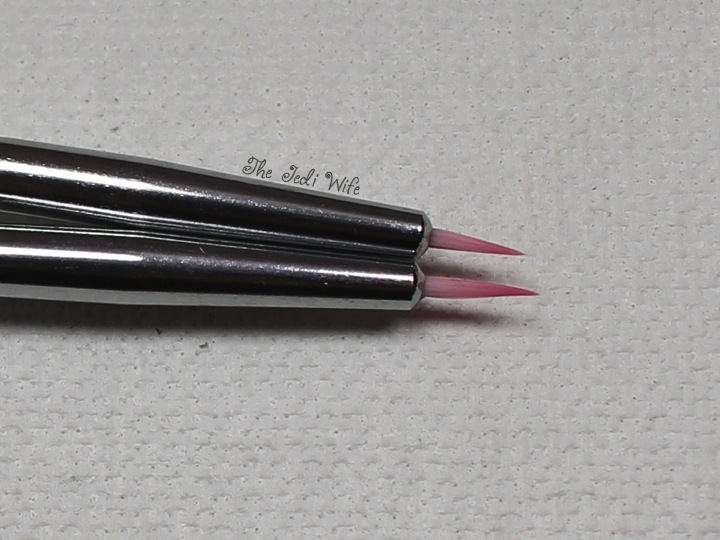 The brushes arrived with these little plastic end pieces to keep the bristles in place. I am a little obsessive about my brushes, so I keep these ends to protect my brushes. 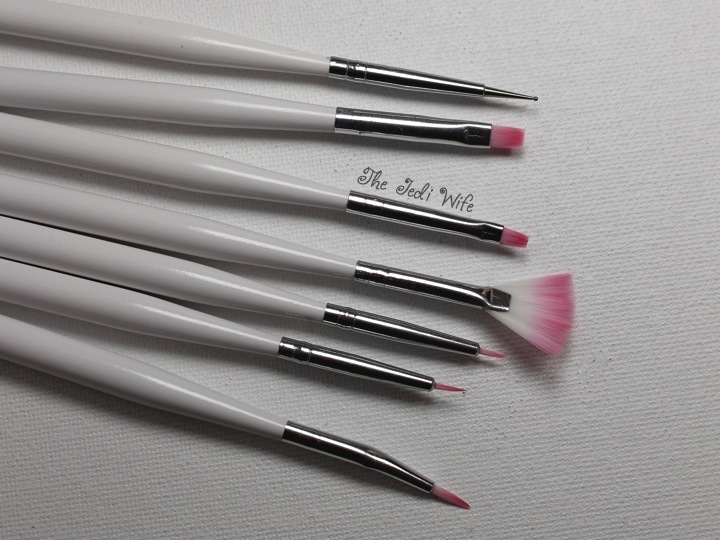 This is the full set of brushes un-capped. These are the same style as well but different sizes. Even though they are close in size, the 1mm (approximate) difference in brush length really matters when working on such a small canvas! Ahh, the brush with a slight bend! 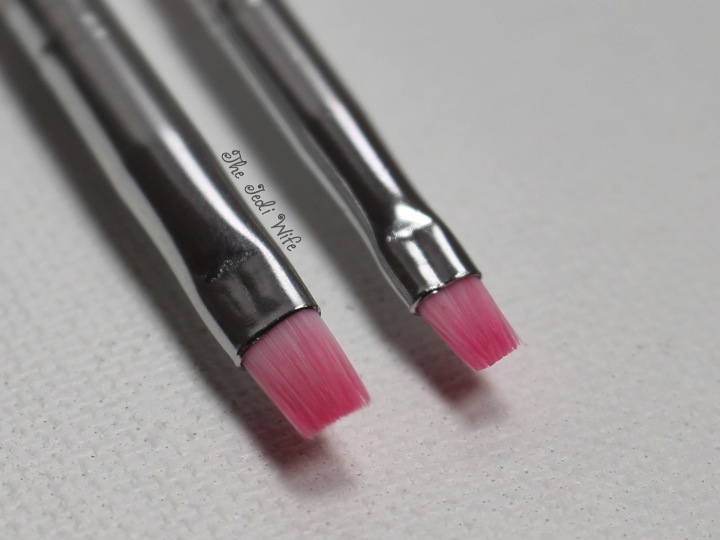 This brush is the reason I would choose this particular set over others. I always paint directly on my nails, and this is so much easier to work with than a perfectly straight brush a great deal of time. 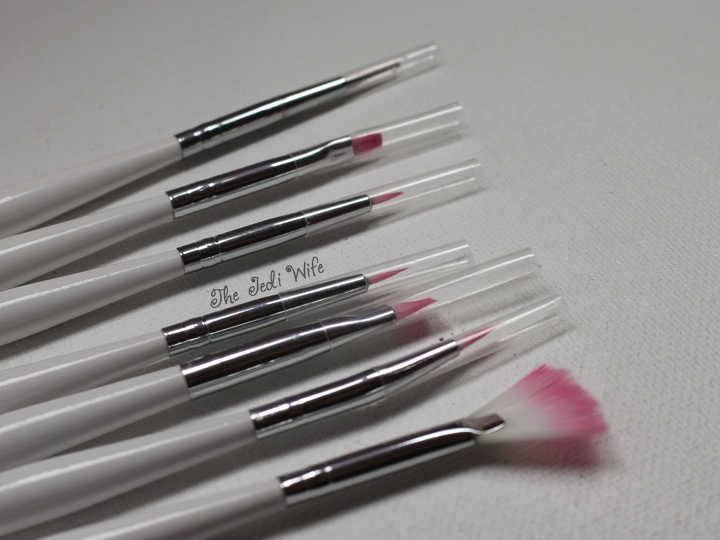 This cute brush set was easy to use, and so far, all the bristles stayed firmly in place. 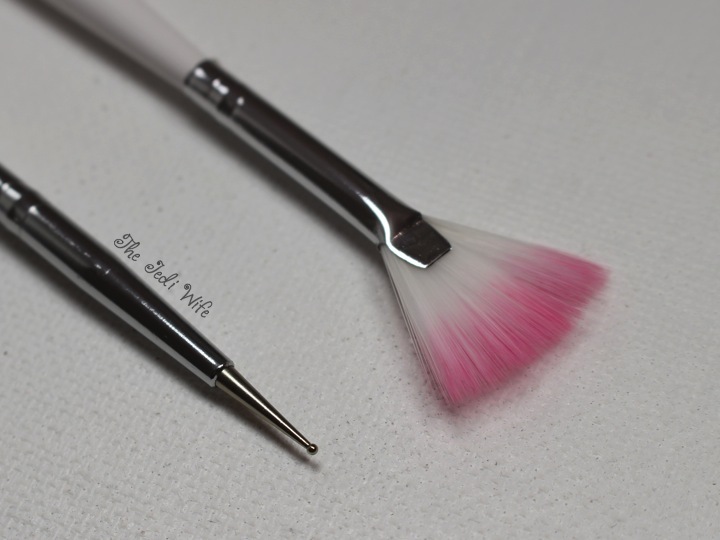 I've had nail art ruined by shedding brushes before, so this is something I can appreciate! This is what I came up with while playing with these brushes. I used Orly Hot Tropics, Ablaze, and Tropical Pop from the new Orly Baked Collection. I love the bright colours on my nails, and I love how this came out! 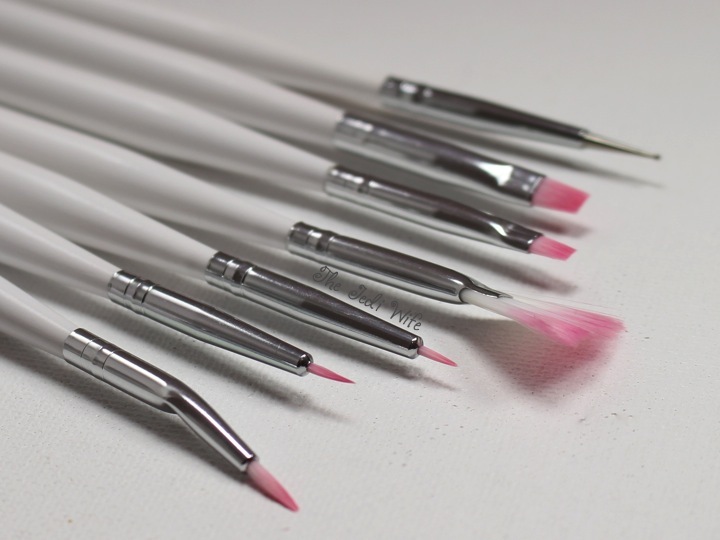 You can order your own set of nail art brushes here. While there, be sure to check out Born Pretty Store for your other nail art needs- they have so much to choose from! You can also save 10% on your order by using discount code QWL91. Until next time, dear readers, have a wonderful day!! What a handy (heh heh) set of brushes to have! 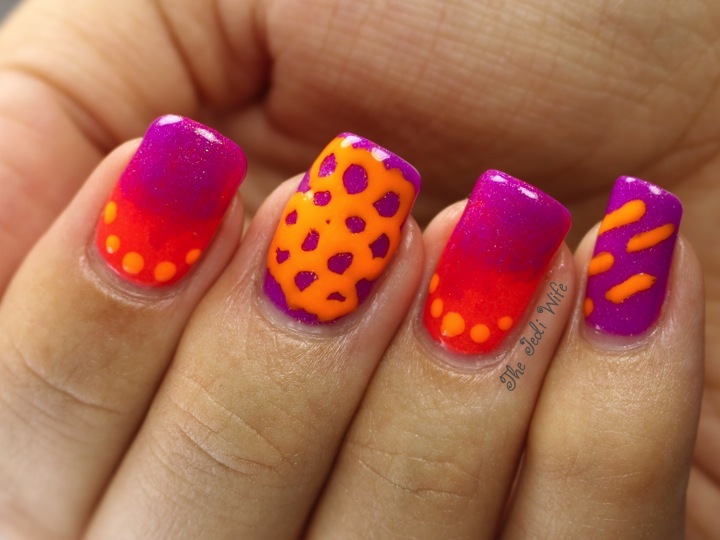 Makes me want to try some nail art.